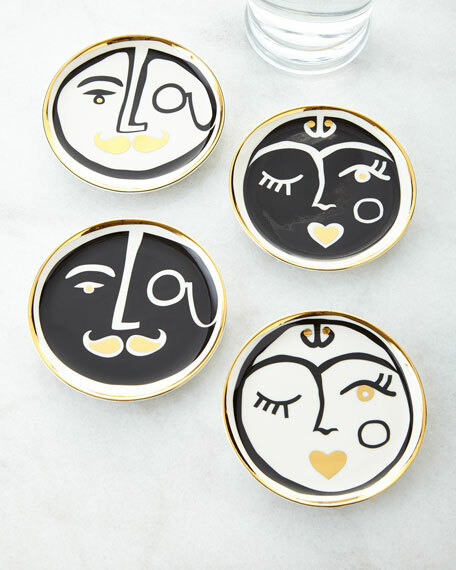 A black and gold play on French fifties faces. Handcrafted of high-fired porcelain with gilt details. Set of four includes one of each design shown; each, 4"Dia. 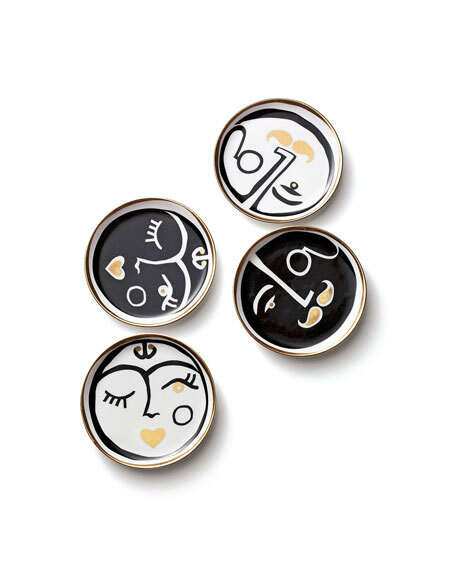 EXCLUSIVELY AT NEIMAN MARCUS Set of four acrylic coasters. Hand cut, assembled and polished. Base of coasters feature a nonstick rubber grips. Arrives in giftable box. Each: 3.75"Sq. Imported.